Here we go again... Mexican food. Yes, I am a bit biased when it comes to Mexican cuisine. I've explained it in my Los Compadres post. However, I'm always game to try new places out, especially if others have raved about it. Kevin (604Foodtography) blogged about La Taqueria out on Hastings in Downtown Vancouver. I seem to get quite a few good ideas from him and here Kev, you get all the credit here! I met up with Vandelay at the store early because a lineup usually begins to build after 11:30am. If you want a place to sit, then you'd better make sure to be early, there are not a lot of them. Another thing, bring cash, they don't take plastic. Doh! Luckily Vandelay is like an ATM and he was able to cover my meal. We both opted for the 4 tacos @ $9.50. 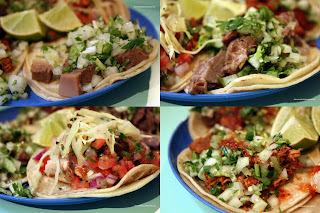 There are quite a few to choose from and the ones that caught my eye were the: De Lengua, De Cachette, Pescado and Al Pastor. Translated, these are the Braised Pemberton Meadows Beef Tongue, Braised Chilliwack Pork Cheeks, Grilled Fish with Pico de Gallo and Chilliwack Pork Marinated in Chili, Achiote and Pineapple. As you may already know, I love tongue. No, not the one Viv gives me (well, okay I do... TMI! ); but I love beef/pork tongue. It's especially good when it's cooked until it's nice and tender. Simply garnished with onion and cilantro, the tongue taco was delicious. Honestly, if you've never tried tongue (that sounded funny), this is the best way to do it. It seems that anything "cheek" is on the menu everywhere. I'm glad because that's another one of my favs in the meat department. Generally, the meat in the cheeks are quite tender if cooked properly. And this was no exception with the cheek tac o. Again garnished only with onion and cilantro, the braised cheeks were not only tender, they were well seasoned. Topped with pico de gallo and pickled cabbage, the fish tacos were also outstanding. Why outstanding? The fish was only partially cooked where most of it was still rare. This is perfect since overcooked fish is no better than canned tuna. Lastly, the Chilliwack pork was quite flavourful due to the moderately spicy sweet sauce. The pineapples were a nice flavour addition giving both sweetness and tartness. I'm gonna say it. To me at least, I think these are the best tacos I've had in the GVRD, even better than those at Dona Cata. He he he ... what coincidence! Kevin organized a lunch to the same place last week. Ed Lau, Angie and I joined Kevin. The Tacos was pretty good. There were four SLRs (Ed's was a monstrous Canon 1D!) on the counter and that really caught their attention. Glad you like it too, Sherman. Sherman, that was a bit too much information about your marital relations. Thanks for the "cheeky" review. Anyways, I have been planning to try the tacos here as I've heard good things about it. You definitely got my attention when you said they were even better than Dona Cato's, my favourite taqueria. Also, I love tongue (get your mind out of the gutter). Toldja all it was good..
Guilty pleasure, I stop there probably once a week for a taco or two, just to keep me going for the rest of the day after lunch. Hey Ben, yah, I'm glad you made it out there. It's definitely a nice little gem. Once I again, this is one of those cases where everybody seems to love it except me... It was good to a certain extent but it had flaws as well. Finally had the opportunity to try this little place. Even though they were busy, they were cordial and efficient. My favourite was the al pastor as the flavours were well balanced. Can't say the tongue left much of an impression and the organic lamb was very lamby, but not gamey if you know what I mean. I loved that they gave me extra cilantro and onions just for the asking. The horchata could have been improved with a little more cinnamon but not bad as it really cooled down the hot sauce. I would like to return to try the fish taco, but the metered parking is a definite drawback. This place would be so awesome on the Drive. I have to agree with KimHo in my feeling unimpressed. I've been there 4 times and am done. I'm from San Diego and this place has missed the point of Mexican cuisine by 'Vancouver-ing' their tacos. 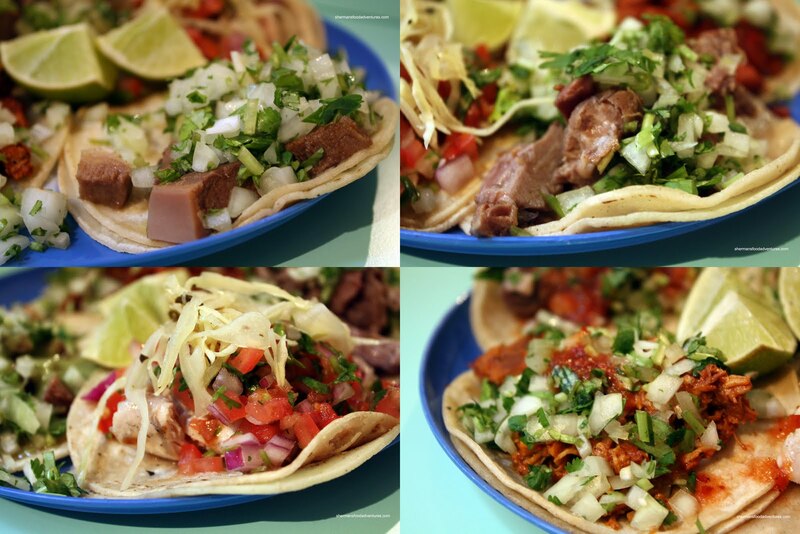 They add boutique, non-traditional toppings that ruin the simplicity and bliss of street tacos. The quality of the meat is very high and many do love this place but I'm not one of them. 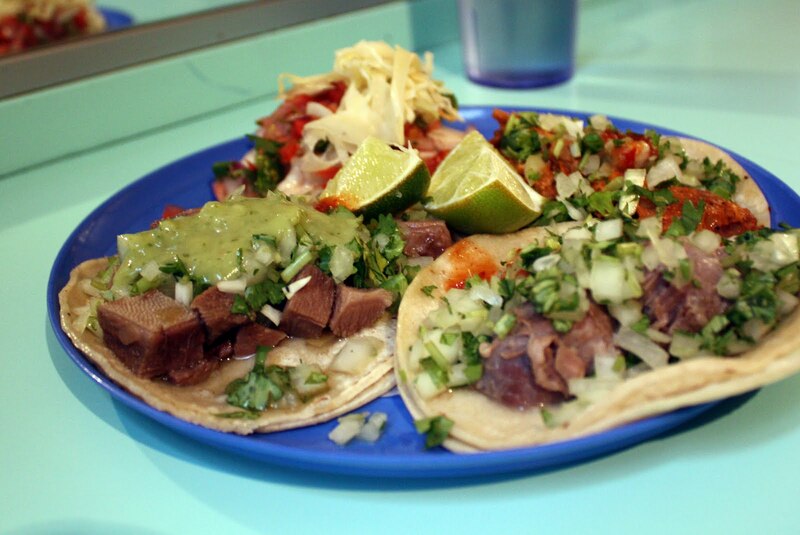 To Holly, you can find great, simple traditional tacos on the Drive at Rinconcito Salvadoreño. @Stoney I too have been to San Diego and also the Mission district in San Francisco. Yes, I agree that the stuff at La Taqueria appeals to the locals. However, since they are a business, that is probably a good idea. Since my blog is a primarily a Vancouver one, La Taqueria will have to do. As my Mexican friend told me, La Taqueria is one of the better ones here but the sample size is really small.